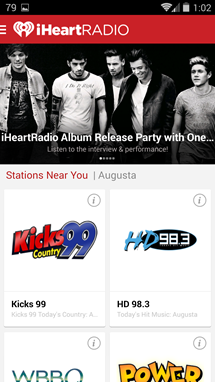 If you're a regular user of the iHeartRadio service, there's a big update waiting for you in the Play Store. 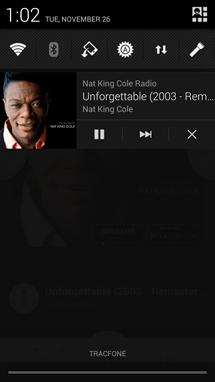 The most useful addition in the new version of the Android app is undoubtedly the expanded control options: you can now pause, play, or advance your streaming music on the lockscreen or the new notification. 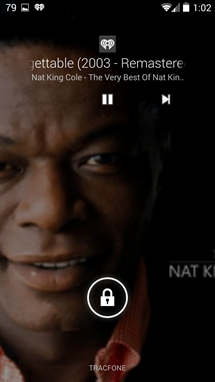 The notification is even expandable - are you watching this, Pandora? The user interface gets a fancy new slide-out menu, accessible from the main player and home screens. 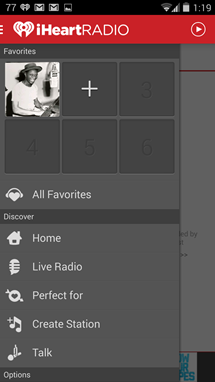 Six favorite stations can be selected (toggle them by tapping the "+" icon in the upper-right corner). 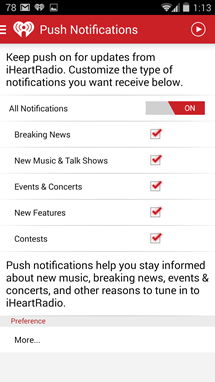 iHeartRadio users can also set up notification alerts breaking news on local channels, new music and talk shows, local concerts, radio contests, or even new features for the app itself. And the developers aren't messing around: in addition to a general on/off setting for the alerts themselves, you can set them to ring or vibrate and assign quiet hours. 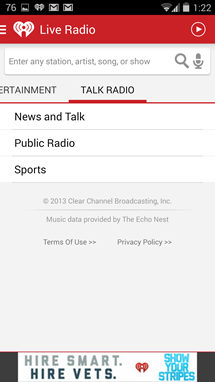 Finally, iHeartRadio now features talk and news stations. I assume that it had access to at least some of the local talk radio stations before, but now they're more heavily featured with their own sub-section in the station selection menu, with full descriptions and station logos. "News and Talk" is lumped into one category, public radio stations get their own, and generalized sports stand alone. They're divided by local stations, major cities, and most popular. The app is compatible with all Android phones and tablets running Gingerbread or higher. by Clear Channel Broadcasting, Inc.